Each year, foundations pour in billions of dollars to support education, and yet, the education inequity crisis in this country continues. Philanthropy can be more effective at being part of the solution and finally bring access to quality education for all students. 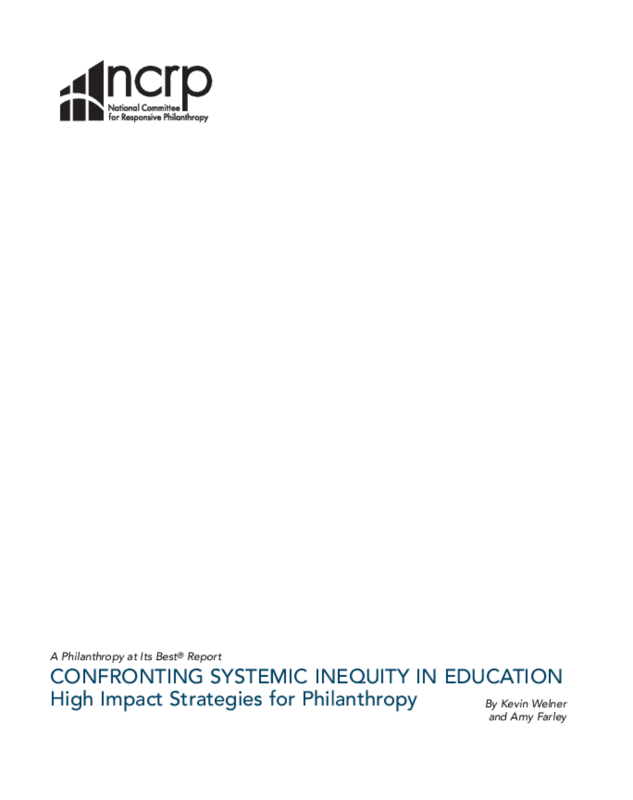 This report serves as an eye-opener to foundation leaders about the ineffectiveness of current grantmaking practices. It also encourages conversations within and among education grantmakers, and provides six helpful discussion questions. Copyright 2010 National Commitee for Responsive Philanthropy.